The bodies of 15 UN peacekeepers from Tanzania killed in the Democratic Republic of Congo will be repatriated in the coming days, the Tanzanian army said on Sunday. The soldiers were all members of the Tanzania People’s Defence Forces participating in a UN peacekeeping operation in the conflict-torn eastern region of the country. Their base in North Kivu province came under attack by suspected Ugandan rebels on Thursday. “We are working with the United Nations on this. The bodies will be repatriated between Tuesday December 12 and Wednesday December 13,” Lieutenant General James Mwakibolwa, deputy head of the Tanzanian army, told reporters. The UN has put the death toll from the attack at 15, with 53 wounded. But Tanzania’s government continues to speak of 14 deaths, the original figure released by the UN. Mwakibolwa said the soldiers were killed after 13 hours of clashes with fighters of the Allied Democratic Forces who attacked their positions. The ADF is a shadowy rebel group dominated by hardline Ugandan Muslims and opposed to Uganda’s President Yoweri Museveni, who has been in power for 31 years. 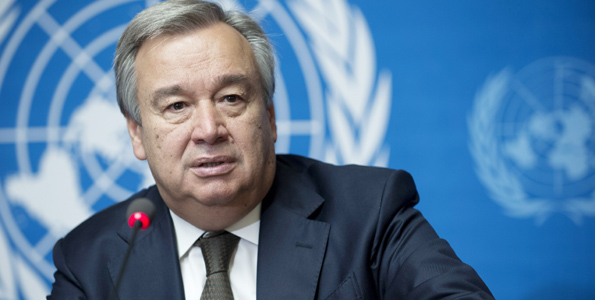 The UN chief Antonio Guterres led an outpouring of outrage over the deadly ambush, calling it a “heinous” act. Previous articleReporter’s Diary: The ‘new education’?